On 1 July 2015, we had our new Principal and CEO, Ms Jeanne Liew, take the helm at NYP. Time flies, and a year has since gone by. We decided to ask Ms Liew to share with us her most remarkable moments at NYP in this past year. Today, we are thrilled to present some of her thoughts on events, facilities, and achievements that would make you feel proud to be an NYPian. 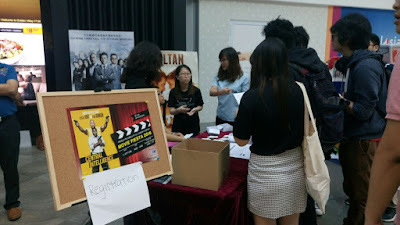 On the night of 8 July 2016, 125 NYP SIT students and alumni, and current members of the Singapore Computer Society (SCS) Student Chapter, turned up for Movie Fiesta Night at Golden Village, Suntec City to catch the movie Central Intelligence. The event was organised by the NYP SIT Club and the Singapore University of Technology and Design (SUTD). The Write Stuff was invited to cover the event, and together with my co-writer, Ritz Yeo, we had a great time. It was a great opportunity for the SCS Student Chapter and NYP SIT alumni to get to know each other better.